See yourself weightlessly bobbing around in this environment… with no actual life direction. What kind of an existence would that be? So, now that I’ve proposed such a life, think about all the things you want to get done as a parent, as an individual, as a (whatever) part you are playing in this world. You feel influenced by many time-and-attention requests. How do you meaningfully get everything done you feel influenced to do? I encourage you to create a “getting things done” process that works for you and your family. What is that process? I don’t know because your family is unique with individualized situations. However, I will share mine with you and you are welcome to use it. If it turns out to be helpful, please share it with others. If I do not get this task done right now, what might happen that’s negatively life-changing if the task is left undone? If I do get this task done right now, what might be the benefits to doing this task for the largest number of people involved? Am I sacrificing anything vital in my family, friend or business relationships by doing this task instead of spending time with those people? 3. 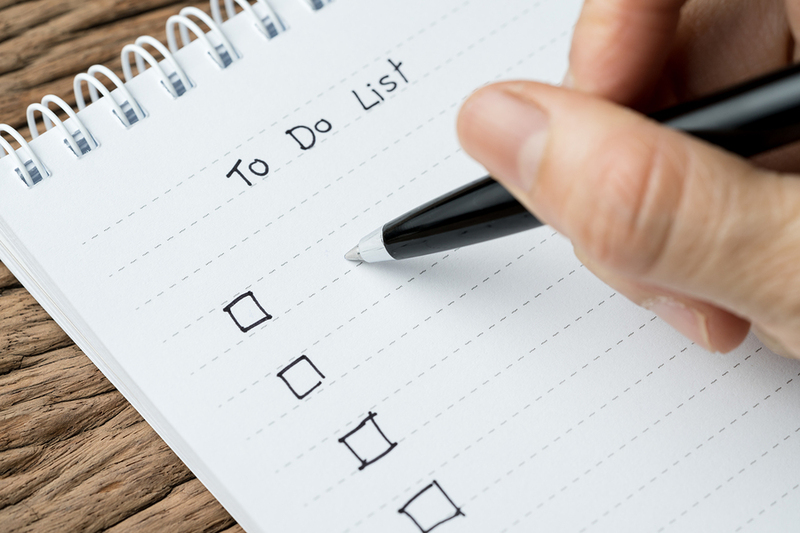 Write out an amount of time it will take to do the most important task on the list. Be realistic on this. Things often take a lot longer to do than we realize because life can be so interruption-driven. 4. Write out how others might be influenced if you do the first (or most important) task on your list. If you wonder if others who could be affected by your doing that task might be negatively influenced, ask them how they feel about you doing the task BEFORE YOU DO IT. It might help you decide if doing that task is really so important, or, if it’s the right thing to do at all. For example, my husband and I were faced with figuring out how to make Jason’s life most meaningful after his health declined to the point he could no longer get out of bed. He still needed to complete a requirement to achieve Star Scout for his Boy Scout requirements. Jason still needed to do a community service project to achieve this goal. What to do? Turns out, the local library needed someone to review video tapes to see whether or not the tapes could still be used. Many had worn spots and could no longer be viewed. So, Jason agreed that he wanted to do this as his community service project. He really wanted to achieve his Star Scout level. We agreed to let him volunteer his time while in his bed. The library would not loan us a VCR for an extended amount of time. Renting a video player for weeks would be costly. Buying one at the time (in 1987) was expensive. We knew we didn’t have the money to buy a machine but we did have a credit card. This was initially a challenging choice because we don’t like to accumulate debt. But my husband and I decided to go into debt to buy our own VCR for Jason because it was so important to Jase to get Star Scout. We asked ourselves the right questions and put his improved quality of life ahead of our insecurities about debt. It turned out to be one of the most important activities for him helping him achieve his goal of Star Scout. 5. Prioritize and organize what’s on your list. Keep asking yourself questions to see which tasks really are the most important to complete. 6. Delegate tasks to family members as appropriate. You cannot do everything nor should you have to. If you as a parent think you must do all the work, in my opinion, you are robbing the other of the opportunity to learn the value of contribution. 7. Be flexible and keep your mind open about the actual urgency to doing that task. Many tasks we imagine are necessary to do could be desires to avoid having a bad experience. Avoiding doing something could be illogically fear-based. Sometimes facing fears requires the help of a professional who can help you face and cope with those fears. I remember one time when Jason’s heart rate refused to regulate. The school kept calling me to come in from work, which was a 30-minute drive one way. It eventually happened two or three times in one week. With the frequency of the incident, I finally took him in to the pediatrician. We did medical tests and the doctor referred us to a pediatric cardiologist and surgeon. After his examination and more tests, Jason’s main option seemed to be medical management by surgery. But, since Jason had a very severe case of Marfan’s Syndrome, we believed that the chances of him surviving any surgery might be risky. The doctor confirmed that suspicion. So, we were faced with making a serious decision. Should we consent to letting the doctor do the surgery or would we better serve Jason by making the most of the time he had left and just make him comfortable? By following the ideas in this “getting things done” process, all the adults (my husband, myself, the pediatrician and the pediatric surgeon) concluded surgery was out. This was the hardest decision we ever could make for Jason’s benefit. We all focused on improving his life quality instead of trying to “hold on” to every moment of Jason’s remaining days at his expense. As parents, sometimes we must face those difficult decisions in the name of getting things done. But face it we did. It turned out to be the right decision for Jason. We had more time to prepare for the inevitable. Accepting that which must be done is different than condoning or liking doing it. Of course, you are never the same when your child dies; you are forever changed. But, by focusing on doing one task at a time, getting through it was how we did get it done. So, if you are trying to figure out how to get things done, it is like the story about eating an elephant. You do it one piece (step) at a time. Give your all to that one step and then move on to the next step. Previous article Is That Toy a Playpen or a Playground? Susan Fox is an award-winning, internationally known, accomplished and highly respected brain dialog researcher, hypnotic consultant, public speaker, trainer, freelance writer and mom. She received a hypnotherapy certification at the Hypnotism Training Institute of Los Angeles, Calif., in 1988 and an AA degree from St. John’s University in 2004 and has been practicing nationwide ever since. Using humor and educational material, she coaches other moms about how to naturally reduce stress and achieve goals in a simplified way. A very practical person, she uses common sense problem solving approaches to help others feel happy with who they are. She gives credit to the Girl Scouts for teaching her dependable life skills. Contact Susan, who lives in Avon, at [email protected] Visit her website at www.brainviewtraininginstitute.com.